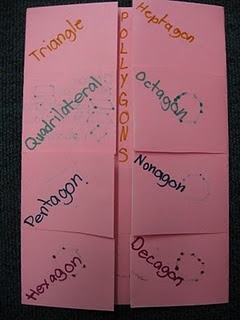 Today I am spotlighting more geometry ideas, but this time the activities are for Preschool through 2nd grade. Many more geometry ideas can be found on my two Pinterest boards: Geometry and Geometry for Pre-K to K. Follow my Pinterest boards for continual up-to-date math ideas! This idea is for those 2nd grade teachers. Again I am starting with the oldest grade. This activity is a good hands-on activity for more geometry practice like in a guided group math station. The student can take the tray to his/her desk. 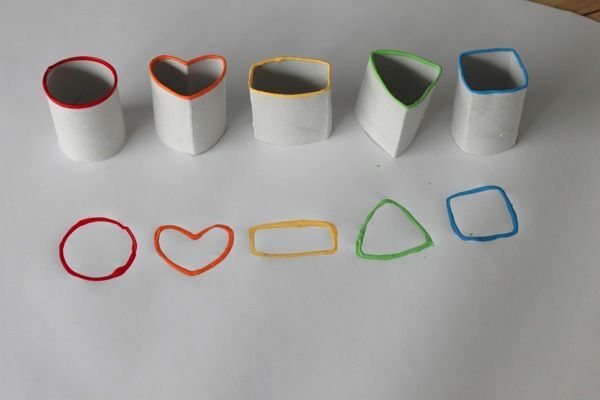 They can recreate the shapes on their desk and them draw it on their paper. 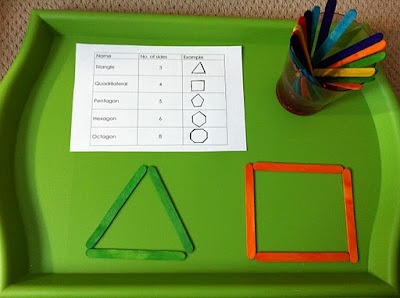 Click here to see Shape Tray Activities on my Pinterest board. One more geometry idea can be seen here. Here geometry shape terms are practice, defined, and drawn as a foldable resource. My fourth grade students love these. They make great study guided. A great interactive activity for students to practice more geometry. How about some more geometry resources? This one is for preschool and Kindergarten teachers. For more ideas visit my Pinterest page.